The Brazilian working class is facing the most savage assault on its living standards in over a decade. And it is not just the industrial workers who are under attack. The landless rural workers, public and private salaried employees, teachers and health professionals, the unemployed and the poor are facing massive cuts in income, jobs, and welfare payments. Whatever gains were made between 2003-2013 will be reversed. Brazilian workers face a decade of infamy. The Rousseff regime has embraced the politics of “savage capitalism” as personified in the appointment of two of the most extreme advocates of neo-liberal policies. In early December 2014, President Rousseff appointed Joaquin Levy as the new Finance Minister—in effect the new economic czar to run the Brazilian economy. Levy, a leading member of the Brazilian financial oligarchy between 2010-2014, was president of Bradesco Asset Management, an asset arm of the giant conglomerate Bradesco, with more than $130 billion under management. 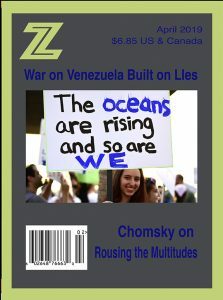 Since his doctoral days at the University of Chicago, Levy has been a loyal follower of neo-liberal supreme Milton Friedman, former economic adviser to Chilean military dictator Augusto Pinochet. As a former top official in the International Monetary Fund (1992-1999), Levy was a strong advocate of the harsh austerity programs which, a decade later, impoverished southern Europe and Ireland. During the presidency of Henrique Cardoso, Levy served as a top economic strategist, directly involved in the massive privatization of lucrative public enterprises—at bargain basement prices—and the liberalization of the financial system which facilitated the illicit financial outflow of $15 billion a year. Levy’s presence as a prominent member of Brazil’s financial oligarchy and his deep, longstanding ties to international financial institutions is precisely the reason President Rousseff put him in charge of the Brazilian economy. Levy’s appointment is part and parcel of Rousseff’s embrace of a new strategy of vastly increasing the profits of foreign and domestic finance capital, in the hope of attracting large-scale investments to end economic stagnation. For President Rousseff and her mentor, ex-President Lula Da Silva, the entire economy must be directed to gain the “confidence” of the capitalist class. The social policies which were implemented earlier are now subject to elimination or reduction. Deep and comprehensive cuts in labor’s share of national income is at the top of the agenda. The objective is to concentrate wealth and capital in the upper 10 percent in hopes that they will invest and increase growth. While Levy’s appointment represents a decided turn to the extreme right, the economic policies and practices of the previous 12 years laid the foundations for the return of a virulent version of neo-liberal orthodoxy. During the electoral campaign in 2002, Lula Da Silva signed off on an economic agreement with the IMF which guaranteed a budget surplus of 3 percent. Lula sought to reassure bankers, international financiers, and multinationals that Brazil would pay its creditors, increase foreign reserves for profit remittance and illicit financial flows overseas. The Lula regime’s adoption of conservative fiscal policies, was accompanied by his austerity policies, reducing public employees’ salaries and pensions and providing only marginal increases in the minimum wage. M ost of all, Lula supported all of the corrupt privatizations that took place under the preceding Cardoza regime. In 2003, at the end of Lula’s first year in office, Wall Street hailed Lula as the “Man of the Year” for his “pragmatic policies” and his demobilization and de-radicalization of the major trade unions and social movements. In January 2003, President Lula Da Silva appointed Levy as Treasury Secretary, a position he held until 2006—the most socially regressive period of the Da Silva presidency. This period also coincided with a series of enormously lucrative multi-billion dollar corruption scandals involving dozens of top PT officials in the Lula regime receiving kickbacks from leading construction companies. Two events allowed Lula to moderate his policies and introduce limited social reforms: (1) the commodity boom created a sharp increase in the demand and prices of agro-mineral exports and filled the coffers of the Treasury; (2) increased pressure from the trade unions, rural movements, and the poor for a share in the economic bonanza led to increases in social spending, wages, salaries, and easy credit without affecting the wealth, property, and privileges of the elite. With the economic boom, Lula could also satisfy the IMF, the financial sector and the business elite with subsidies, tax breaks, low interest loans and lucrative “overpriced” state contracts. The poor received 1 percent of the budget via a “family allowance,” a $60 a month handout, and low paid labor received a higher minimum wage. The cost of social welfare was a fraction of the 40 percent of the budget that the banks received in payments of principle and interest payments on dubious public debt incurred by previous neo-liberal regimes. With the end of the boom, the government of Rousseff has reverted back to Lula’s orthodox policies of 2003-2005 and re-appointed Levy to carry them out. Levy’s task of re-concentrating income, raising profits, and reverting to social policies was much harder in 2014-2015 than it was in 2003-2005. Mainly because, earlier, he was merely continuing the policies of the Cardoso regime and Lula promised the workers it was only temporary. Now Levy must cut and slash gains that workers and the poor take for granted. In fact, in 2013-2014 mass urban movements pressed for greater social expenditures for transport, education and health. To advance Levy’s shock therapy, at some point in the future, repression will be necessary, as was the case in Chile and Southern Europe when similar austerity policies depressed incomes and multiplied unemployment. Levy proposes to rescue the interests of finance capital by taking several crucial measures which will be in line with the agenda of Wall Street, City of London, and the Brazilian financial moguls. Levy’s first priority is to cut and slash public investments, pensions, unemployment payments, and public sector salaries. Under the pretext of “stabilizing the economy” (for the financial groups) he will destabilize the household economy of tens of millions. He will rescind tax breaks for the mass of consumers buying cars, household appliances, and “white goods,” thus increasing the cost to millions of working class households or pricing them out of the market. Levy’s purpose is to unbalance household budgets (increase debt over income) in order to increase the state budget surplus and ensure full and prompt debt payments to creditors like his own Bradesco conglomerate. Second, Levy will “adjust” prices. More specifically end price controls on fuel, energy, and transport so that the financial oligarchs with millions of shares in those sectors can jack-up prices and “adjust” their wealth upward into the billions of dollars. As a result, the working and middle class will have to spend a greater share of their declining income for fuel, transport, and energy. Third, Levy will probably let the currency weaken to promote agro-mineral exports under the guise of greater “competiveness.” But a cheaper currency will increase the cost of imports, basic foodstuffs, and manufactured goods. The de facto devaluation will hit hardest the millions who cannot hedge their savings and favors the financial speculators who will capitalize on currency movements. And comparative studies demonstrate that a cheaper currency doesn’t necessarily increase productive investments. Fourth, Levy is likely to claim that energy shortfalls due to drought—which has reduced Brazil’s hydropower dams—requires “reform” of the energy sector, Levy’s euphemism for privatization. He will propose to sell-off the semi-public billion dollar petroleum giant Petrobras and accelerate the privatization of offshore exploitation sites, at terms favorable to big investment banks. Fifth, Levy is likely to slash and burn environmental and business regulations, including those affecting the rainforest, labor, and Indian rights, to facilitate the easy entry and fast exit of financial capital. Levy’s “shock therapy” will have a profound social and economic impact on Brazilian society. Every indication, from past and present experiences, is that in every country “Chicago Boys,” like Levy, have applied their “shock” formula, has resulted in profound economic recession, social regression, and political unrest. Levy, like all free market fanatics, will argue that recession and regression are short-term, necessary, and will succeed in the long run. But in all contemporary countries pursuing his shock formula, the result has been prolonged regression. Greece, Spain, Italy, and Portugal are in the seventh year of austerity-induced depression and their public debt is growing. Levy’s shock therapy will heighten class tension and inevitably result in the break-down of the social pact between the so-called Workers’ Party regime and the trade unions, the landless rural workers and the urban social movements. 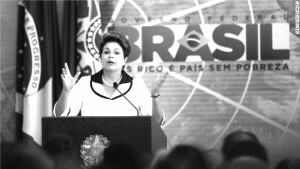 Rousseff and the leadership of the self-styled Workers’ Party regime, faced with economic stagnation resulting from the decline in commodity prices and the decision of private capital to withhold investments, could have chosen to socialize the economy, end crony capitalism and increase public investment. Instead, it capitulated. Rousseff has recycled the orthodox neo-liberal policies which Lula implemented during the first two years of his regime. Instead of mobilizing workers and professionals for deeper structural changes, Rousseff and Lula Da Silva are counting on the “left-wing” of the PT to complain, criticize, and conform. They are counting on the co-opted leaders of the trade union confederation (CUT), to hyperventilate and confine themselves to inconsequential symbolic protests which will not disrupt Levy’s “shock therapy.” However, the scope, depth and extremism of Levy’s so-called adjustment and stabilization program will provoke general strikes, first and foremost in the public sector. The cutbacks in the auto industry and rise in unemployment, will result in job action in the manufacturing sector. The cuts in public investment and rise in the costs of transport, health care and education will revive the mass urban movements. The Workers’ Party turn from “inclusive neo-liberalism” to Friedman-style free market extremism will radicalize and polarize Brazilian society. 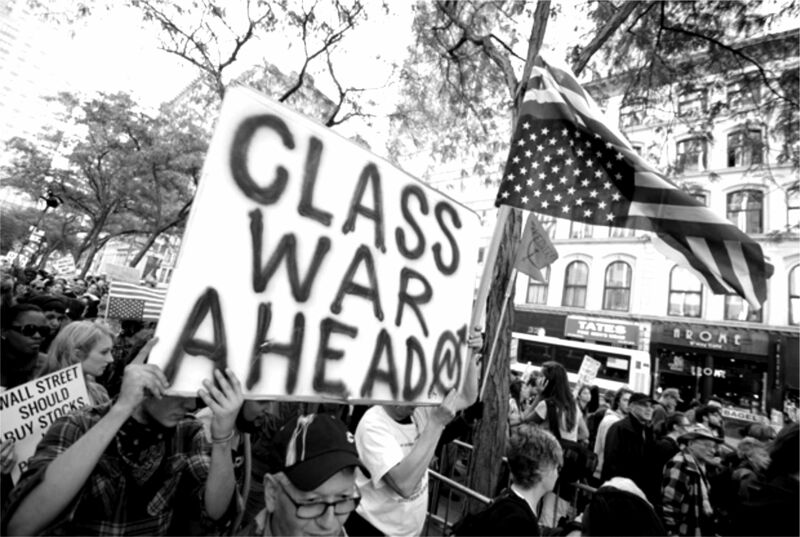 The oligarchy will push to remilitarize civil society. This in turn, will spur the growth of class conscious social movements, like those that ended 20 years of military rule. Perhaps this time, the social upheaval may not end in a liberal-democracy; perhaps the coming struggle will bring Brazil closer to a socialist republic. James Petras is a Bartle Professor of Sociology at Binghamton University, New York and the author of more than 62 books. Peace Negotiations or War Preparations?